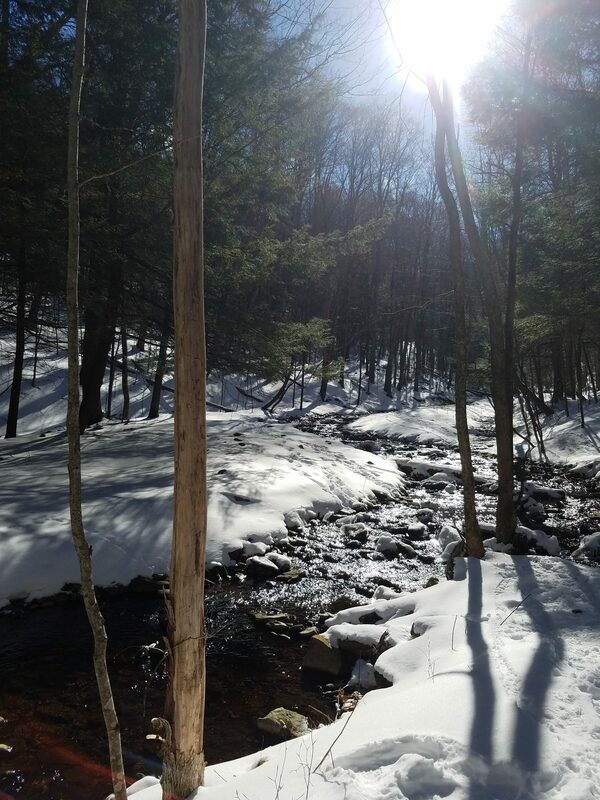 A few weeks ago I went on a winter campout in the NY Catskills with a bunch of my dad’s friends and their kids. 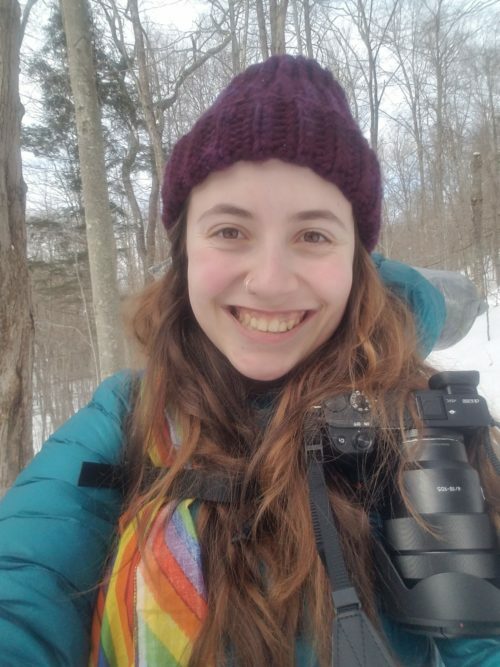 I’d never gone camping in the winter before so I thought it’d be a great way to test out my gear. I mean, if I can survive subfreezing temperatures with my gear then I should be fine with cold weather on the trail. I didn’t really know what to expect of the weekend but it turned out to be a really fun time. As far as gear goes, here are 14 things I learned from camping in the Catskill mountains in the dead of winter. My friend that graciously came with me on the trip had the MSR Pocket Rocket stove. Little did we know that it would stop working if it gets too cold out. So the first night when we tried to heat some water to put in a nalgene we were surprised to find that the stove didn’t work. Luckily I had brought my knock-off pocket rocket (Etekcity Ultralight Portable Outdoor Backpacking Camping Stove). That thing lit up and boiled our water in no time. Yay for being cheap! Yes, that’s right. 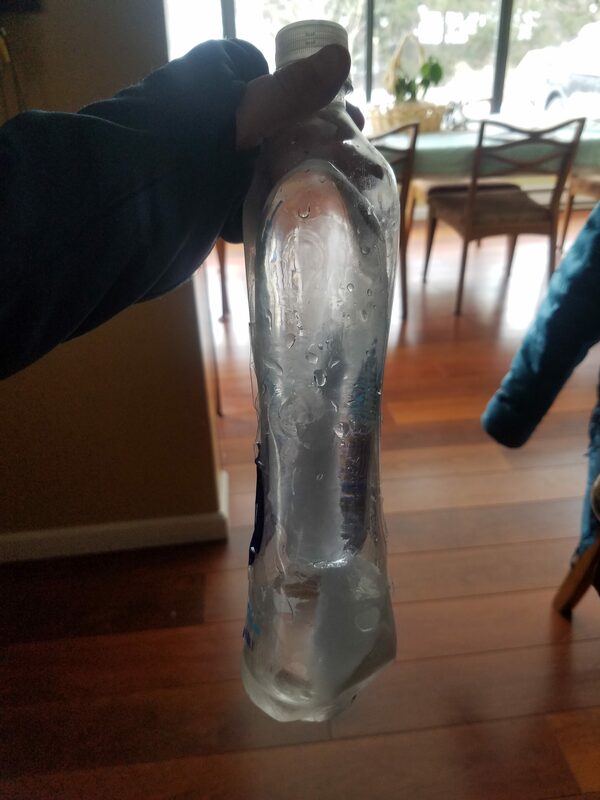 Within minutes of us getting to camp our water bottles all started to freeze. Next time I’m bringing an insulated one! Just when I thought I might’ve had a water bottle that wasn’t frozen I realized I was so wrong. When I picked up my water bottle it froze before my eyes. Because our water bottles were frozen solid and we were all thirsty we decided it’d be a great idea to build a fire and melt the ice. That plan worked in theory until the fire got so hot that it made our water bottles melt and look like they were growing tumors. Even though my smartwater bottle somewhat melted, it was the only one that did not grow any weird tumors of plastic and was still somewhat usable. I really wish I took a photo of my friend’s Nalgene. It looked so weird. The first night it got down to somewhere between 0°-4° F. My 10 degree sleeping bag & liner that adds another 15 degrees worked wonderfully for every part of my body except for my feet. It was possibly because of the fact that in order to get to my tent from the lean-to you had to cross a bubbling brook. Every time I did, my boots would get wet & freeze. That is why for the AT I ordered some down booties. Fashionable? No. Comfortable & Warm? Yes. When I woke up after the first night I found some ice on my sleeping bag. At first I thought it might’ve somehow been from the snowfall we had overnight but then I realized that the condensation from my breathing had frozen. The next night despite me trying to wipe the ice away, the top of my sleeping bag didn’t really keep my face warm. My dad ordered me the wide & long version of the bag despite me only being 5’1 so I just burrowed myself deeper into my bag for more warmth. Next time I think Ill put a buff over my mouth or something. Being a photographer is really fun. Especially when you get to take photos in the middle of nowhere on a backpacking trip. What’s not so fun is having to take your pack off to get your camera every time you want to take a photo. The capture clip hooks onto any strap and allows your camera to be way more accessible. Note for anyone else thinking about getting one: it does have a lock so that you don’t accidentally knock your camera off and watch it tumble down a mountain. But the lock is not the black screw like a lot of people (including myself) think. The red button that you press to release your camera can turn and that’s what locks the camera in place. It probably would have paid to actually read the instruction manual for once. The trail to the lean-to & campsites was only .3 mi but there was snow so we all wore our snowshoes. I’d never snowshoed before so it took a bit to get used to but it was really fun! I definitely want to do more snowshoeing in the future. Like I said earlier, I had to walk through a brook in order to get to where I camped the first night. 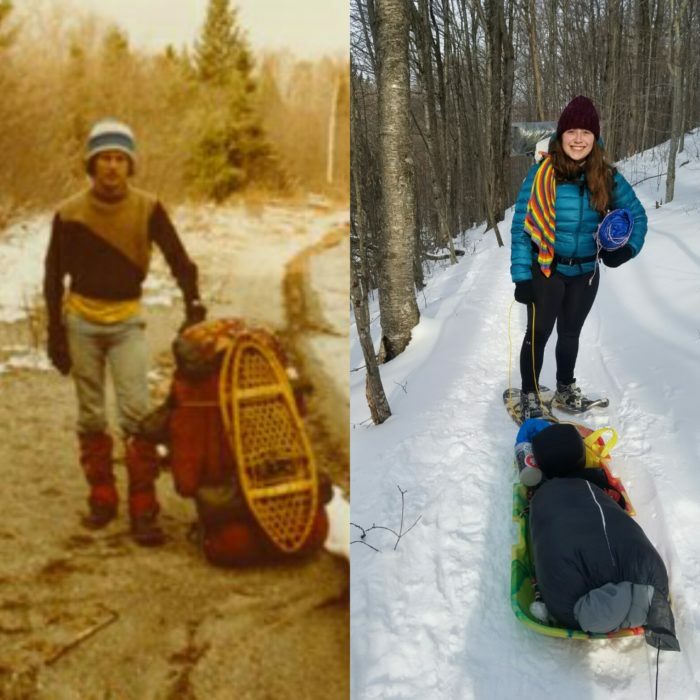 I rock hopped a few times but walking on the same rocks with snowy boots made them slick so it was better to just walk right through the brook. After taking my boots off the first night I was happily surprised to find no frozen ice. These are the boots that I plan on bringing at the start of the trail until they die. They’re just a cheap Columbia Gore-Tex pair that happen to still be waterproof & don’t give me blisters. Waking up to frozen boots is no fun at all. Trying to wrestle your freezing cold feet into your freezing cold & rock solid boots is also not fun. I wound up putting my feet half into my boots and walked down the hill to the lean-to. They had warmed up enough to slide my feet all the way in by the time I got there but were still really cold. I’m thinking next time it’s supposed to get below freezing I might bring a plastic bag to put them in so I can keep them in my sleeping bag with me at night. The first setup we had took forever to put together. My friend and I readjusted the guy-lines a lot until the tent looked good enough to sleep in. The second day we put it up in 5 minutes and it looked perfect. The second day my friend and I decided to move our tent closer to the lean-to. I really didn’t want to have to put everything away and then take it all out again so we took out the stakes, kept as much stuff as we could in the tent, wrapped it in a tarp, and carried it across the brook to our new camping spot. Miraculously no water got in the tent. Without my merino wool buff around my neck I don’t think I would’ve survived the weekend. When it got really cold at night I’d cover half my face with it. Definitely a piece of gear I will be bringing on the AT. All in all everything went pretty well on the trip. My gear did what it was supposed to do and I had a lot of fun going on an annual campout that my dad started with his friends when he was a teenager. Next year I’m definitely going to remember hand warmers though. Hi Kristen, Thanks for sharing your winter shake down camping facts. Good luck with your hike. Maybe I’ll see you on the trail, as my son and I will be starting out on a North Bound thru-hike in April. 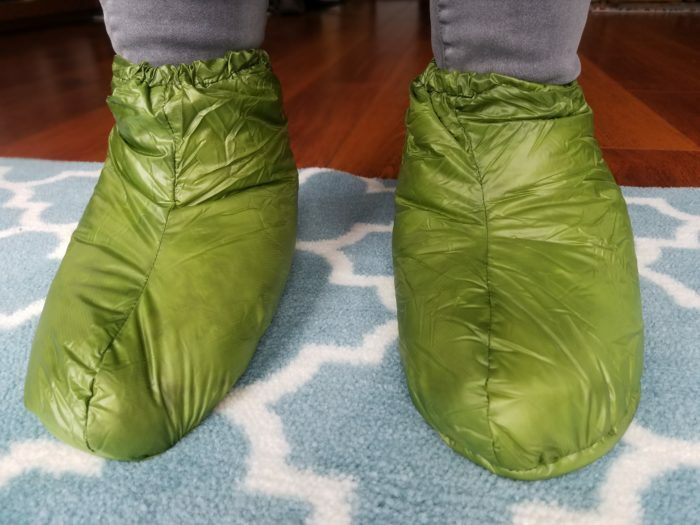 I got some waterproof socks after the guy on here form the PCT video who ate cheeseburgers for 90 miles or something suggested them and they keep your feet dry and warm. I didnt believe the hype but I am definitely going to be using them in a few weeks when i set out.